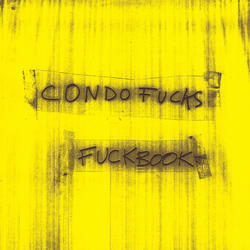 The crucial tidbit of Significant Contextual Information lurking just below the surface of Fuckbook, the new album from Condo Fucks, is that it isn’t actually a Condo Fucks record. You’ve probably heard or read this somewhere before. The Condo Fucks don’t even exist, really, outside of this sole LP and the slightest mention in a fictional Matador catalogue accompanying I Can Hear The Heart Beating As One (1997), an album by Yo La Tengo, who are, in fact, the Condo Fucks. It’s a gag, see—right down to the title’s allusion to YLT’s earlier covers album Fakebook (1990). 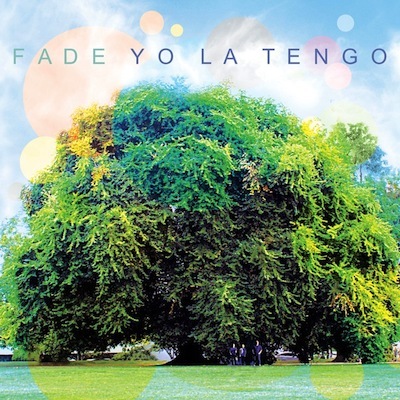 It’s a Yo La Tengo album but—and this is key, folks—it’s not a Yo La Tengo album. Exactly. 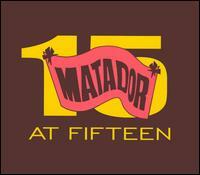 Yo La Tengo have been pretty upfront about the project, talking openly in interviews and on their website about the joke and their involvement in it; though Matador’s been keeping mostly mum on the details, anyone with a working internet connection and a passing curiosity could easily solve the mystery. So, okay, we get it, very amusing—but now what? How are we supposed to take this? The band’s motivations behind releasing a record under another name are unclear, particularly given both a) Yo La Tengo’s well-earned reputation contrasted with the difficulty of promoting a record under a completely new and never before heard name (which is to say that if the band were interested in actually selling records, you’d think they’d be considerably better off using their relative “star power” to appeal to their large fanbase) and b) the fact that Fuckbook is a homogeneous collection of obscure garage rock cover songs. 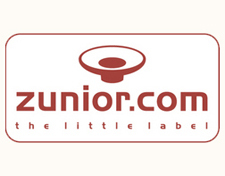 What the false moniker seems to suggest, initially and cynically, is that Fuckbook is a throw-away record, a piece of touring ephemera for merch tables, put together flippantly and released under a different name so as to distance it from the legitimate Yo La Tengo canon. As for the record itself, Fuckbook does little to dissuade the skeptic: like it reads on paper, this is just your basic garage rock covers record, all broad-stroke distortion and hardly-audible vocals and overall it’s cohesive to a fault. 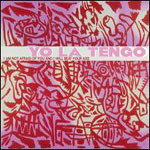 One of Yo La Tengo’s best qualities is their refusal to sit still and revel in any one aesthetic, even across an album, like, say, I Can Hear The Heart Beating As One where you get “Sugarcube” and “Deeper Into Movies” but also “Autumn Sweater” and “My Little Corner Of The World.” Such oscillation may sacrifice a certain “albumness,” but I wouldn’t have liked that record half as much if every track sounded just like “Little Honda”—and every song on Fuckbook kinda does. 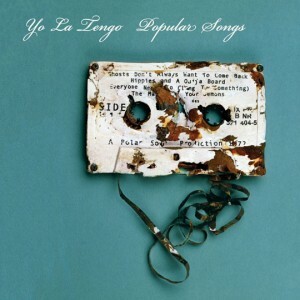 And while it’s true that more recent Yo La Tengo albums have bordered on the generic, none have done so as extensively (and perhaps as stubbornly) as Fuckbook. It’s tough to go into detail about individual tracks on album comprised exclusively of covers, particularly when the source material is adhered to as closely as it is on here. Still, the band has chosen pretty well: one of my favorite Beach Boys tracks, Surfin’ USA‘s (1963) “Shut Down” (as well as its instrumental reprise, “Shut Down Part 2”) here serve as the album’s two-part surf rock centerpiece. Few bands can do justice to beloved material from legends like Brian Wilson and company, but Yo La Tengo’s rough-around-the-edges garage versions hold their own surprisingly well. This is especially true of the album’s best track, “With A Girl Like You,” a cover of the Troggs song of the same name wherein Georgia Hubley finally steps to the mic to change things up (if only for a moment). Samey though it may be, Fuckbook does make for a pretty fun listen. This is the kind of record that benefits casual listening and distanced appreciation, ideal for scoring an afternoon barbecue or a patio party. Maybe it’s the ostensibly flippant and thrown-together style, but Fuckbook feels like something to like and listen to casually. From the Kinks to Richard Hell, it’s just a big ol’ celebration of some of YLT’s favorites expressed in the manner they were meant, an ostensibly one-off, slap-dash record that the band probably had fun putting together. It’s Yo La Tengo not just embracing style over substance, but outright relishing it. It is, in short, a party record. I can appreciate that. Whether you think of it as that or as just a weird conceptual experiment, it’s hard to shake the overwhelming feeling that Fuckbook hardly matters. It doesn’t seem to affect the band much and if that is indeed the case, we’ve got a serious concern to address: Why should it matter to you, the listener, the paying customer? If Fuckbook has lasting value, it’ll be because it maybe points to an interesting aspect of the music-making and -selling business: the power of the name and the inevitability of expectations. When a band like Yo La Tengo, who have been making consistently-acclaimed music for more than two decades and who have built up a large and dedicated following of fans, record an album and decide to release it under a different name, should we be stymied or intriguied? And as dedicated fans? Madonna singles were once sent to DJs with blank white labels in order to quash preemptive scorn; this isn’t such a crazy notion, this playing with audience demands, and the band keeps it all mostly goofy, which helps. In the end, Fuckbook is a disappointing Yo La Tengo album, but the band’s made it clear that it doesn’t want it to be that, instead just a pretty good Condo Fucks record. 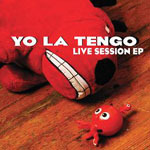 Maybe Yo La Tengo want to efface their presence in the listening and judging process, because they don’t want some vague idea about what a Yo La Tengo record is messing up how you feel about this, just as it is. Or maybe they just don’t think it’s very good. It’s hard to tell.